“We serve an amazing God.” This is the phrase that has been occupying my mind this morning as I read from the book of Job. Do you ever stop to think about all the ways that God cares for us? It is more than my mind can comprehend. Sometimes we allow the troubles of this life to get us down. We worry about things that we have no control over. We allow the devil to steal our joy and we begin to fret. As I read this passage of Scripture this morning, I began to think back on all the ways that God has provided for me and my family over the years. I began to think about all the ways that God takes care of me on a daily basis, many of which I am not even aware. Why then do we worry about things such as money, and illness and this and that? Do we so easily forget that we serve a God that set our world in motion? It seems so easy for us to allow the troubles of this life to get us down. We forget that the God who created this world in which we live, and who created us in our mother’s bodies, still holds us today. He loves us. He cares for us. He watches over us every minute of every day, and not only you and me, but every other person who is on this earth. Wow! that is something to boggle the mind. God loves you. He created you for a purpose, and He has promised that He will never leave us nor forsake us. Let us always remember to put our trust in Him. We most certainly serve a mighty God. Have you ever been around someone who made your day better by simply seeing them or talking with them? Have you, on the other hand, been around someone who had the opposite effect on you? We have all been around these types of people. I think it is safe to say that we all agree that we would rather be around someone who brightens our day rather than the one who brings a dark cloud with them when they show up. Today, I simply want to encourage you to be a blessing to those with whom you come into contact. We never know when our path crosses with someone else’s path, what kind of day they may be having. There are many times in which people are facing struggles that we know nothing about. Sometimes all they need is a kind word, a simple smile, or a hug to let them know they are not alone. One of the best ways to let God’s light shine through you is with the simple things. Many times we fool ourselves into believing that since we can not do something big that we do not have anything to offer. Most of the time it is the small things that really matter the most. These are the things, when done with a heart of love, that people are going to remember. These simple little things are the things that will show the love of Jesus to the world. I want to challenge you today to be a blessing to those around you. Make it a point to encourage someone else. Offer a kind word. Do something for that person you know might be struggling. Write a short note to someone just to let them know you are praying for them. 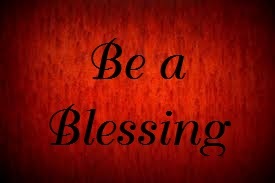 Be a blessing. Okay ladies, this one is for us. Many times what I write is very general and can be enjoyed be everyone. Today, however, I feel the need to have a good heart to heart with you. How many of you had no idea what you were doing when you got married? Go ahead, you can raise your hand. I know I am raising mine. When I married my husband 13 years ago, I was so love struck and young. From the time I was a little girl I had dreamed of finding the man of my dreams, getting married, and having babies of my own. I would imagine that most little girls do this. This in and of itself was not a mistake. Where I messed up was when I did not stop to consider what each of those positions would require from me. I did not take the time to prepare myself for the task ahead. Most of the time, when trying something for the first time, we take the time to prepare and make sure we are equipped for the task at hand. If you are going to run a marathon do you wait until the day of the race to find running shoes and begin to run? No! That would be crazy. You start months, maybe even years, in advance and train. You begin small and run short distances. You train and practice for the big race to come. If you are going to cook a meal, do you just walk in the kitchen and begin to cook? No. You prepare. You first decide what you are going to cook and then you find a recipe for it. You make sure you have all the ingredients. You get everything in order and you follow your recipe. Why then do we as young women believe that we can just jump into marriage without being prepared? When I married my husband I am sad to admit that I did not pray about it first. I did not seek God’s will for my life. I did not search my Bible to find out what kind of woman God wanted me to be. Somehow I fooled myself into thinking that I had it all figured out. I would be a natural, just like June Clever. How hard could it be? I would cook, and clean. I would eventually have a few children. Life would be perfect. It did not take me long to realize that I was wrong. I had no idea what it meant to be a submissive wife, or what it meant to let my husband be the head of our household. I had no idea how to make the day-to-day decisions that came with being a wife. On top of that, we decided to start a family right away. Within nine months of marriage, I was already a new mom. So, not only was I trying to be the perfect wife, even though I had no idea what that meant, but I was also now trying to be the perfect mom. Can I just tell you that I was headed for disaster? It took me quite a few years of struggling to be June Clever before I realized that I was failing miserably. What was I doing wrong? All those years as a little girl, I had dreamed of this day and now that it was finally here I was a wreck. Why? Because I had not prepared. Sure, my mom had taught me to cook and clean. She had taught me how to carry a baby on my hip while shopping for groceries. Looking back, she had even tried to warn me about getting married before I was ready, before I had searched for God’s will for my life. But, I was young and did not realize the wisdom in her words until much later in life. So, when did things begin to get better for our family? It was when I submitted my life to God and admitted that I was not June Clever. Our marriage began to improve when I committed to being that submissive wife that God wanted me to be. Our lives began to improve the day I realized that I needed to trust my husband and let him step up as the man of our household. Our whole life together changed the day that I committed to pray for my marriage, my husband, and our children every day. You see, I put my priorities in order. I allowed God to show me what it meant to be a Godly wife and mother. I allowed God to teach me that I did not need to be June Clever to be a good woman. God taught me, through His word, that He had equipped me with all the things I needed to be a good wife, mother, and woman. When I messed up was when I tried to do it on my own. Do we still have our struggles? Yes. Do I still mess up on a daily basis as a mom and a wife? Yes. But, God is faithful in extending his grace and mercy to me every day. With God’s help I am learning what it means to be the woman He wants me to be. It is my desire every day to be more like the woman I read about in Proverbs 31, and less like the women I see on television. Ladies, let me encourage you today. Whether you are preparing for marriage or have been married for fifty years, God wants to help you grow. He wants to teach you what it means to be a submissive wife. God wants to teach you to be that precious jewel in the life of the man who God has planned for you. To you ladies who are not yet married, I want to encourage you to take the time to seek God first in your life. 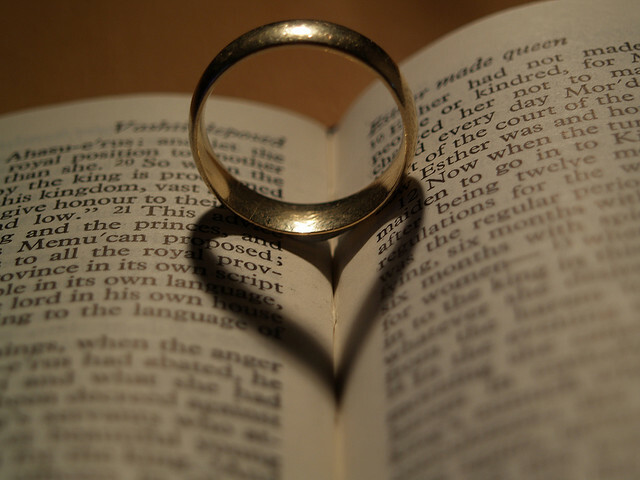 Allow God to lead you to the man who you are to marry, and then take the time to prepare for that marriage. Take the time to read your Bible and find out what kind of woman God wants you to be. Learn what it means to be a submissive wife. Learn what it means to be a Proverbs 31 woman. To the lady who can, in agreement, nod her head and say, “Yes, I have learned that too,” I want to say to you, “Good job.” You are well on your way to being the woman God wants you to be. Stay committed to Him and His word. Cover your family and your marriage in prayer daily. God wants to bless your family and He will, if you will seek Him in all that you do. To the lady that may be reading this thinking that this can never happen in your marriage and in your life, let me reassure you that it absolutely can. No marriage is too far gone that God can not mend it. No family is too torn apart that God can not put the pieces back together. I want to encourage you to commit to pray for your family every day. Seek God first, and ask Him to help you become the woman He intended for you to be. Ask God to bless your family and to mend the broken pieces. Yes, it is going to take some work, but God is faithful. He will mend the broken pieces and He can help your marriage and your family to grow if you will allow it. I have a confession to make. I am a meat and potatoes kind of girl. Do not get me wrong. I love to eat fruits and vegetables. I love a good grilled chicken salad. I enjoy eating the different things we grow in the garden each year, but you give me a good steak and baked potato and I am one happy girl. I thought about this as I was reading my Bible yesterday morning. 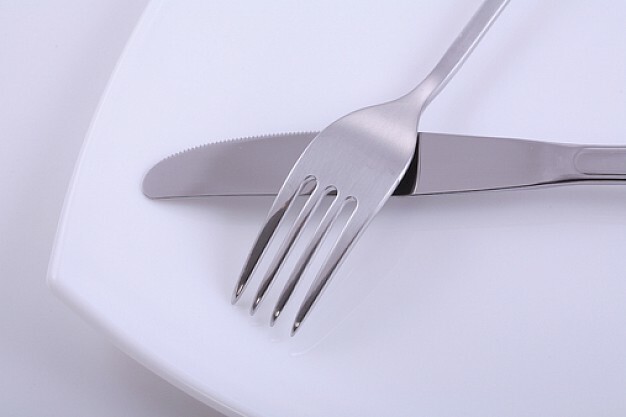 I came across the Scripture that I have shared with you today and the thought came to me: “What are you chewing on spiritually?” My dad will sometimes use this analogy when he is preaching at our church and I have always loved it. It has always painted such a clear picture, in my mind, of how God wants us to be as Christians. Many times in our Christian walks we miss out on the “meat” of God’s word and are content to just drink the milk. Please do not misunderstand what I am saying this morning. There is a time and a place for the milk of God’s word. When we are young Christians it is important that we study God’s word in a way that we can understand it. I believe that it is important to focus on the Scriptures that will help us to get rooted in our faith. But, we should not be content to just stay there. As infants, we are given only milk and it is enough to sustain us for a while, but as we grow we require more solid food. This is how we mature and grow into healthy adults. Our spiritual lives are no different. It is wonderful as a young Christian to study the parts of the Bible that will help us develop our beliefs and to strengthen our faith. As we grow as Christians, however, I believe that it is important that we not stop there. We need to begin to delve deeper into God’s word and get down to the “meat” of it. These are the parts of the Bible where God shows us what he wants from us as an individual. These are the Scriptures that God will use to show us how He wants to use us to minister for Him. I understand that the Scriptures can sometimes be confusing. There are times when I will read a passage and have to go back and read it again and again. Do not get discouraged if you find yourself in this place. God will reveal to you the things He wants you to have as He sees fit for you to have them. This is the amazing thing about the Bible. It never gets old. It does not matter how many times you have read it, there is always something new that God wants to reveal to you as you read His word. I pray that this has encouraged your heart today. If you are a new Christian I want to encourage you to read your Bible daily. There is so much encouragement and knowledge to be gained from God’s W ord. These Scriptures that you will find will be beneficial to you as you face trials and troubles every day. When Satan throws a snare in your path, when he places a temptation in your way, Scripture will be the most valuable tool you have. If you are not a new Christian and you find yourself slacking on your Bible reading I want to encourage you as well. Do not let this part of your Christian walk slip. No matter how many times you have read the Bible, keep on. As you seek out God’s wisdom and His will, He will lead you to the things He has for you each day. Remember: The milk of God’s Word is beneficial to all Christians, but the meat of God’s Word is what will sustain you as you follow Christ, so dig into the “meat” of God’s Word today. You will be surprised what God reveals to you as you search for Him. Have you ever found yourself in need but were unsure of just what you needed? Where do we go when we are in need? Where do we go when we need advice or a shoulder to cry on? Many times we go to a friend, or someone who we trust will be there for us. Sometimes we go to a parent, a grandparent, or maybe our pastor. Last week I found myself in that place. I found myself in need of something, but could not voice exactly what it was. My heart was crying out for something, but I could not put my finger on exactly what it was. I needed a touch from God. I found myself wanting to write. I wanted to pour out encouragement for each of you, yet as I sat to write every day my mind was blank. I searched for Scripture to share that would help you through your week, but nothing would come. I was empty. As I prayed and read my Bible every day, I felt my heart crying out to God. Each Scripture I came across was one that I needed to hear. My heart would soak each one up like a sponge. My soul would drink them in like the dry ground after a summer rain. I quickly realized that I was not going to be able to pass along words of encouragement or wisdom as long as my heart was in need of the very same thing. I knew that the best thing to do was to spend my time alone with God every day and soak up what He had for me. 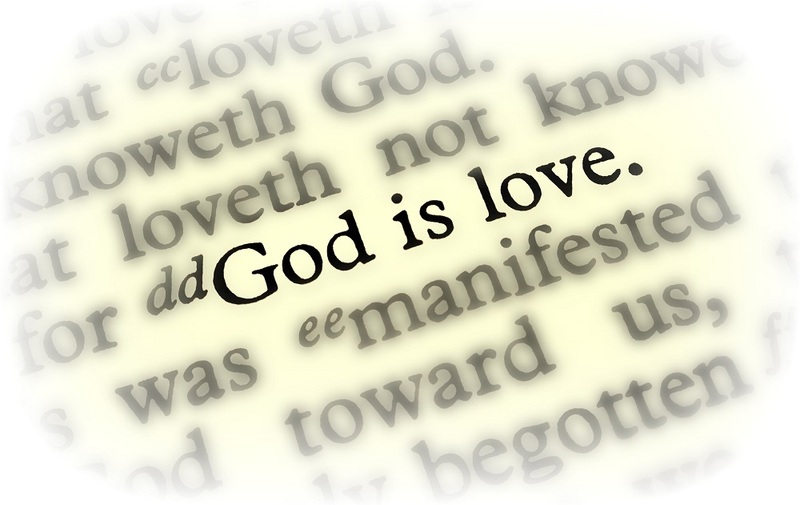 Each day as I sat alone and read my Bible and prayed, I felt God ministering to my heart. As each day passed I felt more encouraged, more alive in my Spirit. I began to feel full rather than empty in my heart. As hard as it was to take that time for myself, I quickly realized that it was necessary for me. My mind needed the break, my heart needed the encouragement, and my soul needed the wisdom that I found in God’s Word. I was a little hesitant to share this with you today because for me it is very personal, but I realized as I began to write that someone may need to hear this. Maybe you have found yourself in this place. Maybe you are in this very place right now. I pray that this ministers to your heart. I pray this encourages you today. There is no shame in needing a break. There is no shame in needing some time alone. Many times in the Bible we read where Jesus went out alone to pray. He realized the importance of time alone with God. He knew that His strength came from God. He was setting an example for each of us. Let me offer you some words of encouragement today: If you ever find yourself empty, or in need of something that you can not put your finger on, go to Jesus. 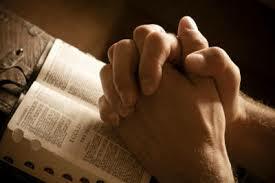 Take time to pray and read your Bible. Seek out God and you will find Him. We are called to be ministers for Christ, but we will not be able to do that if we are not taking the time that we need for ourselves. The Scripture we looked at today told us to, “Come boldly unto the throne of grace, that we may obtain mercy, and find grace to help in time of need.” If you are in need today I pray that you will do just that. I promise you, you will find what you need at the feet of Jesus.